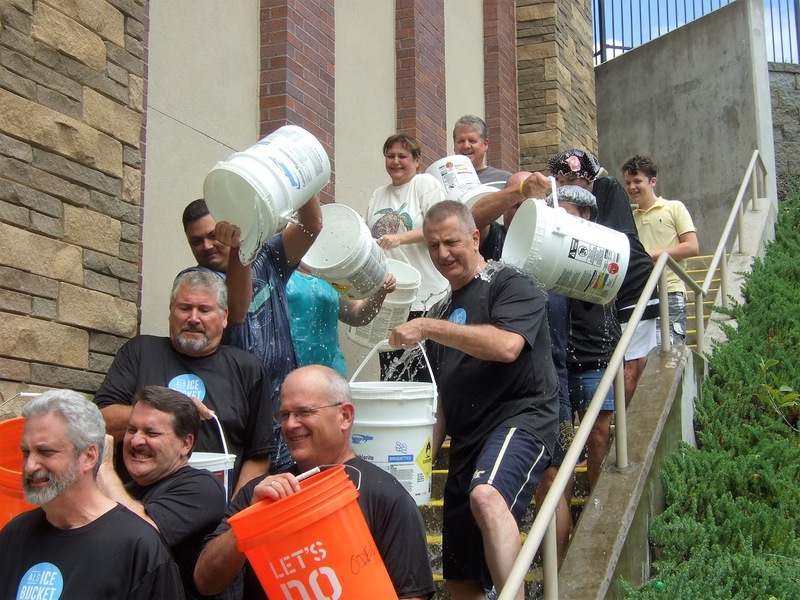 For the second year in a row, the Rotary Club of Canton did the ALS Ice Bucket Challenge to raise funds for research and public awareness about ALS (Lou Gehrig's Disease). Joined by Cherokee County department heads and members of the Cherokee Rotary Community Corps, members of the Canton Rotary Club lined the steps at the back of the Cherokee County Administration Building, where the club meets for lunch every Tuesday, and cascaded icy water from the uppermost Rotarian to Club President Matthew Thomas sitting at the bottom awaiting his frigid dousing! It was all for fun, raising research and family support money, and warm Rotarian fellowship notwithstanding being greeted by a bucketful of ice cold water by the person on the step above! 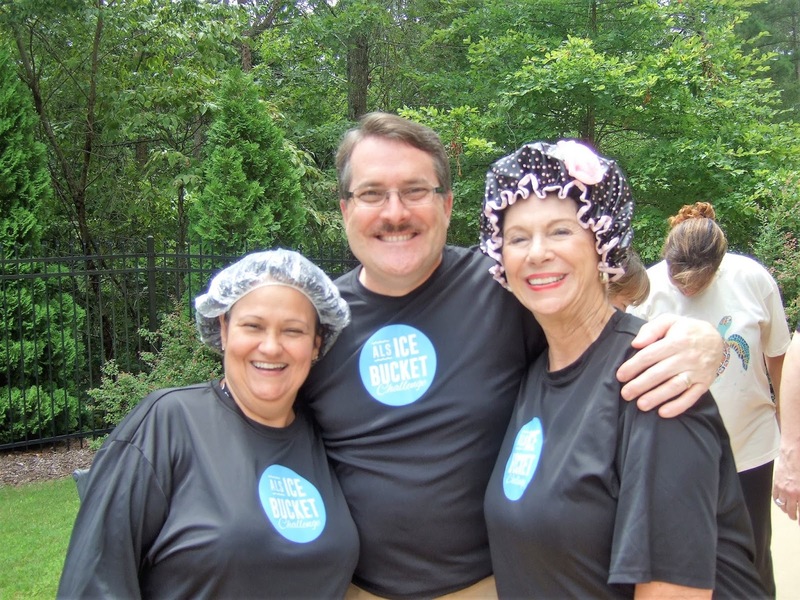 By the end of Ice Bucket Challenge and the club program about ALS preceding the fun-filled event, Cherokee County Rotarians Fighting ALS had raised $1,150 for the ALS Association of Georgia! 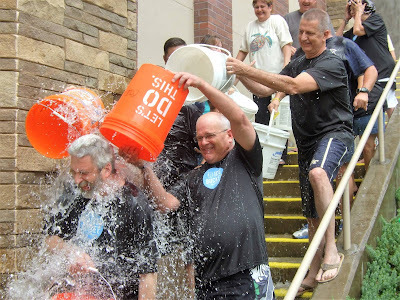 Canton Rotary Club President Matthew Thomas being drenched in icy cold water in the club's ALS Ice Bucket Challenge. Past Assistant Governor Peter Gleichman gets soaked with icy water from both sides during the Canton Rotary Club's ALS Ice Bucket Challenge. Canton Rotary Club Immediate Past President Jerry Cooper with his arms around President Nominee Lynn Epps (left) and Past President JoEllen Wilson. 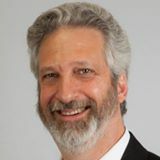 Apparently, Jerry forgot to bring his shower cap! It was great fundraising and fun-raising Rotarian fellowship! 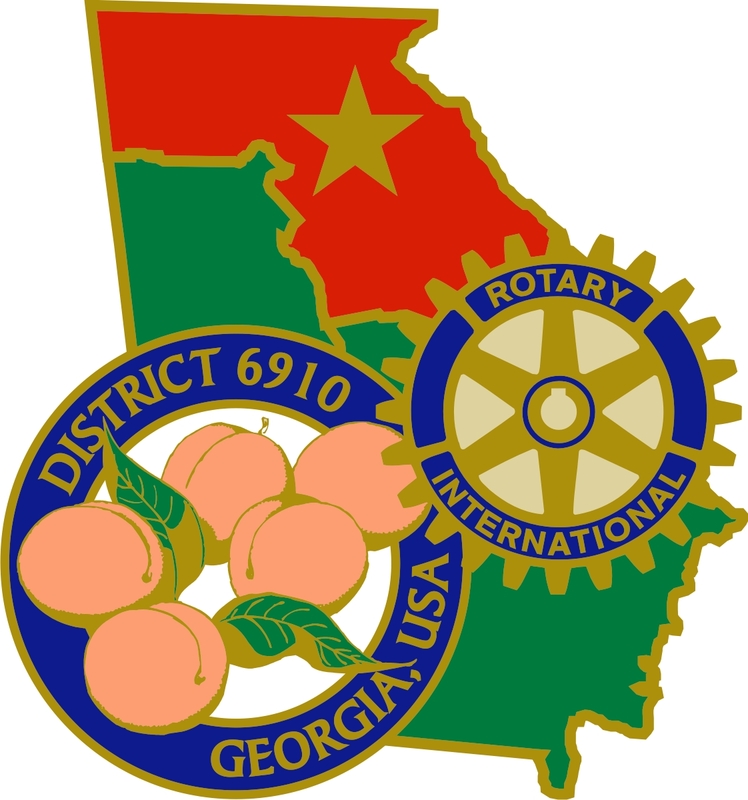 CONYERS ROTARY CLUB HAS A BUSY MONTH!